An avalanche of new Jewelry Findings has just been added to inventory featuring three lavish finishes. 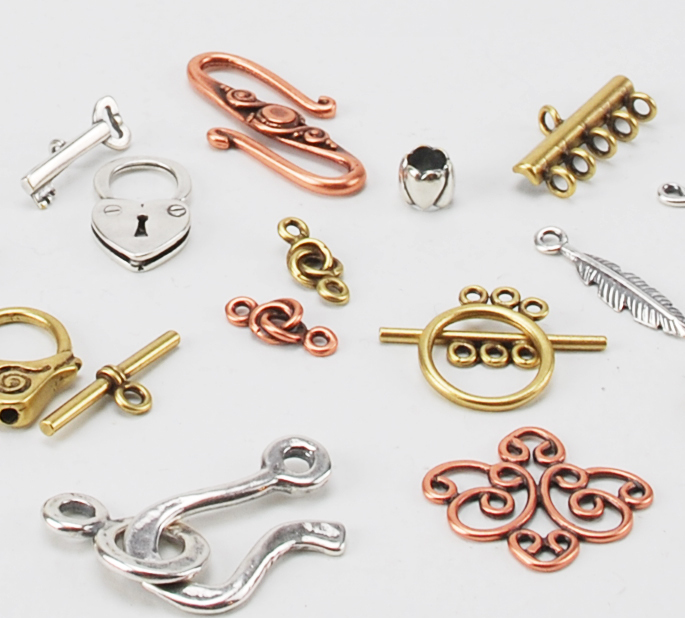 Our ample new collection of jewelry findings includes hooks, embeddables, clasps, eyelets, jump rings, settings, bails, charms, swivel hooks & connectors, pendants & so much more! Our new embeddable eyelets are designed for use with BRONZclay and COPPRclay and can be embedded in wet clay and co-fired. The unique tab allows the clay to lock around the finding during sintering. 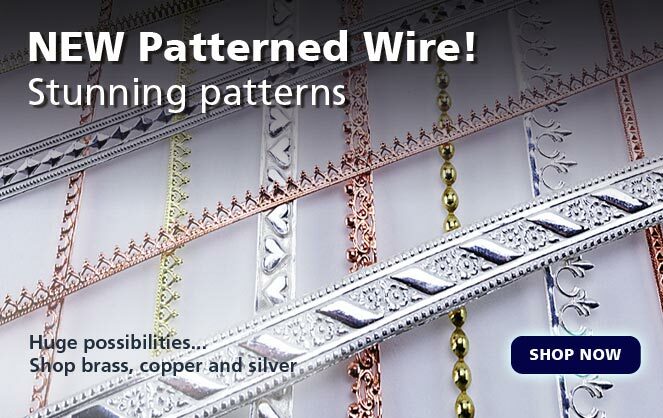 We offer new Beaded Heishi, a staple for jewelry designers to use as a spacers between beads or stack for effect. Mix various sizes and metals for endless design possibilities.  Our wonderful new selection of connectors can be a featured component, a filler, or a base for construction and collage. They can even serve as texturing tools. Discover you new & sturdy charms. They are heavier than a stamping since they are solid metal rather than stamped from a sheet. Our new Pinch Bails are decorative and come with a simple jump ring. A pinch bail is generally used with a pendant. The pegs are positioned over a hole in the pendant and pinched closed to lock the pendant in place. 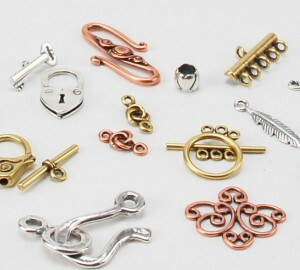 Check out the new selection of toggle clasps and hook & eye clasps. Coordinate your designs with a sturdy and beautiful clasps and secure your bracelets, necklaces and anklets. 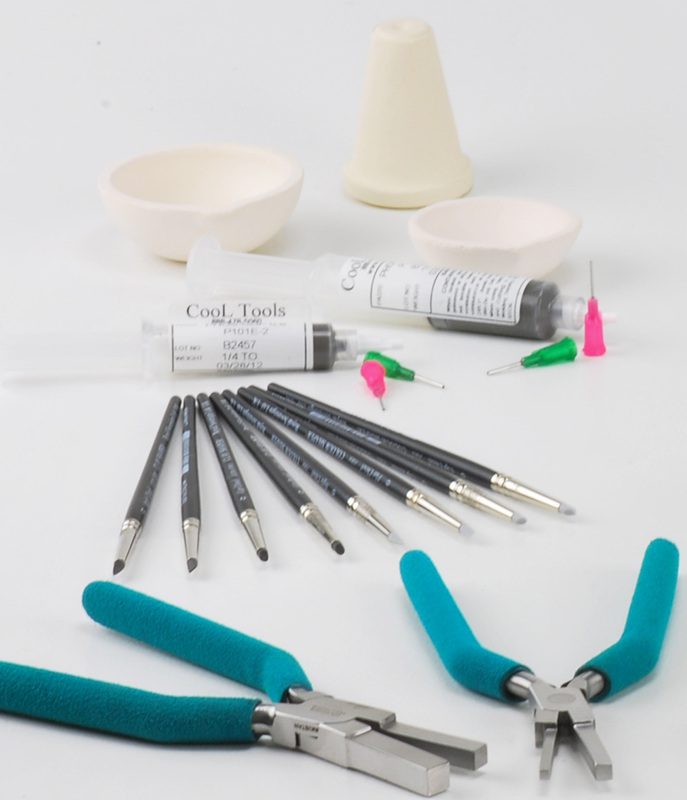 Shop our entire extensive selection of Findings today and make Cool Tools your one stop shop for jewelry making.